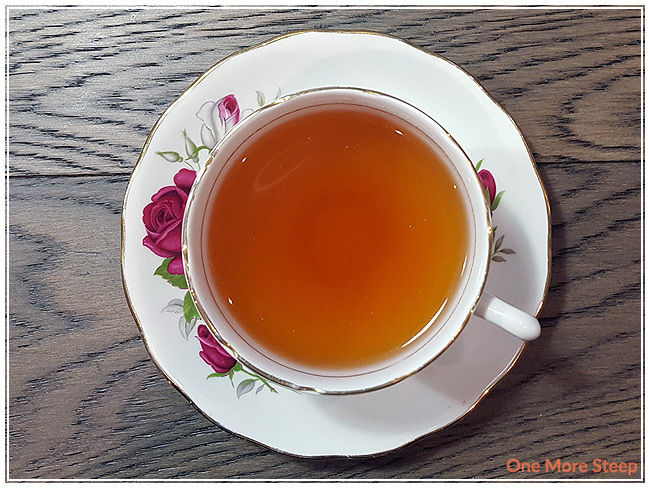 T by Daniel’s When Harry Met Meghan came to me as part of The Sugared Teacup’s April themed subscription box. 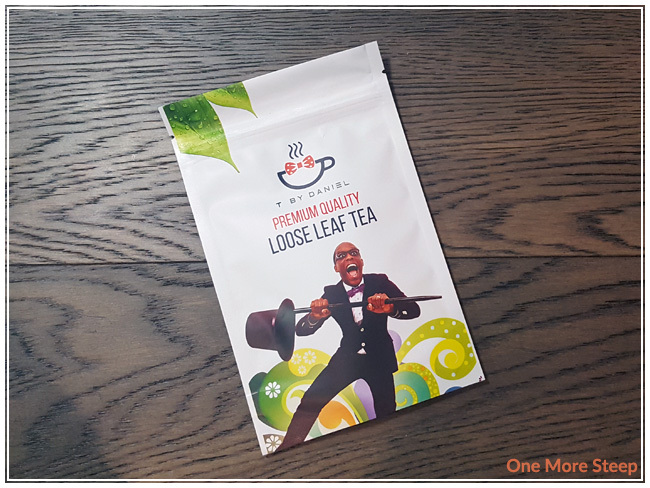 There’s something whimsical and fun about T By Daniel’s packaging – I think it has a lot to do with the bright colours and the bow tie. After all, bow ties are cool (any Doctor Who fans in the audience?). When Harry Met Meghan is my first exposure to a blend by T By Daniel, which is a Ontario-based tea company. Clearly named for the upcoming royal wedding between Prince Harry and Meghan Markle (and for 1989’s When Harry Met Sally), this tea came to me in a resealable foil pouch. The tea itself has a beautiful aroma and straight up smells like chocolate and strawberries. Not sure what the actual royal couple smells like, but the classic pairing of chocolate and strawberries smell divine. 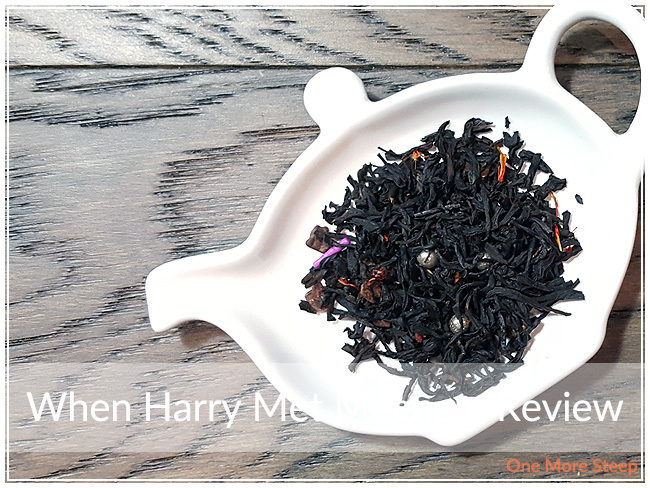 When Harry Met Meghan consists of: Ceylon orange pekoe black tea, chocolate pieces, dried strawberries, safflowers, pink sugar, purple sprinkles, silver dragees, and natural flavours. I could definitely see all of the ingredients at one point or another. Love the fun sprinkles and dragees throughout! There weren’t any steeping instructions on the packaging, or on the online product page. I opted to do an initial steep of When Harry Met Meghan at 100°C (212°F) for 4 minutes. When Harry Met Meghan steeps to a slightly cloudy golden brown. There’s a bit of an oil slick across the surface, which can be attributed to the oils found in the chocolate, sprinkles, and dragees. The aroma from the steeped tea reminds me of chocolate and strawberries. Surprisingly, the flavour of the tea also consists of chocolate and strawberries. I find it can be rare to find a tea that contains chocolate where the flavour actually holds up after the tea has been steeped. All of the ingredients that could dissolve in hot water had, so I was pleasantly surprised that the tea actually tastes like chocolate. The strawberry flavour also comes across well, I suspect part of the ‘natural flavours’ may be strawberry to amp it up a bit. There’s a sweetness to it that almost seems a bit much, and that’s coming from someone who really enjoys her sweets. I think it could have done without some of the sprinkles or dragees because I suspect the chocolate and dried strawberries might have enough sweetness on their own. I resteeped When Harry Met Meghan twice. The first resteep wasn’t too bad, the chocolate and strawberry flavours were still pleasant, but it was less sweet (and that made it more enjoyable). 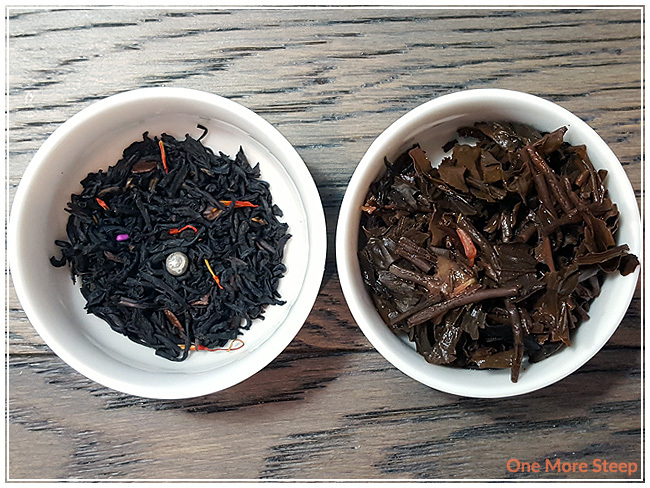 The second resteep was kind of bland in comparison, and I couldn’t tasted the strawberry anymore. I would say that When Harry Met Meghan is good for one more steep. I liked T By Daniel’s When Harry Met Meghan. I think the name is funny/punny and it’s a fun tea for anyone who likes chocolate teas, fruit teas, or royal shenanigans. I’m not usually a fan of teas with chocolate, but I found that this one did really well with maintaining the chocolate flavours throughout while balancing well with the strawberries. That said, I think the sprinkles/sugar made it just a touch too sweet for me. 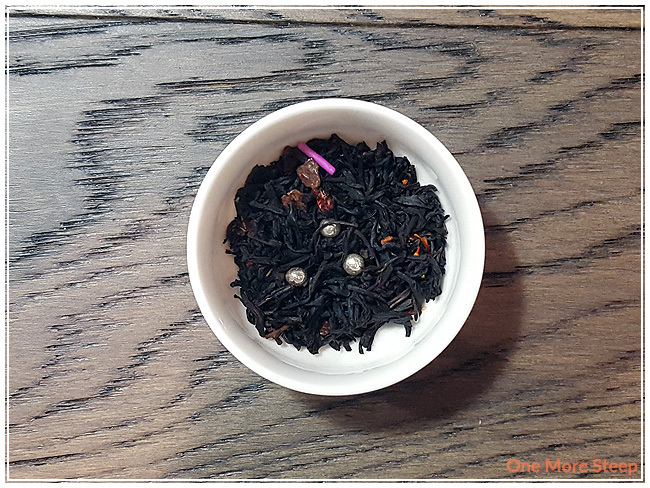 If you’re a fan of sweet teas, I think you’d really enjoy this one as-is, it’s definitely a black tea blend that doesn’t require any extra sweetener.